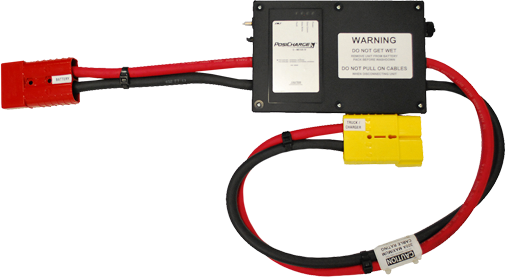 The PosiCharge™ E-Meter is an innovative tool that identifies inefficencies and helps to optimize electric fleet operations for maximum efficiency and productivity. WE’LL HELP YOU TO SAVE THOUSANDS ON YOUR ELECTRIC FLEET OPERATION! The PosiCharge™ E-meter captures energy and usage data of your existing electric fleet automatically without operator or maintenance staff management. Using a real-time clock, the E-meter monitors and records truck data and generates reports and analyses that identify opportunities for impoved efficiency. The E-meter is designed to work in all ambient conditions including freezers. With the data captured, our team will prepare a comprehensive analysis that includes ciritical factors like operating costs, productivity, capital expenses, and employee safety. Our custom cost-saving recommendation is guaranteed to improve the efficency and productivity of your operation. 1) Energy Usage Report: Track the battery charges, Ahr throughput, battery usage, available charge time, and confirm operating schedule. 2) Daily Summary Report: Track daily usage and available charge time for the week. The highest daily usage in Ahrs is used to size your charging system and your weekly battery equalization schedule. 3) PC Application: View battery state-of-charge simulations and optimal charger configurations using data from the E-meter. Unparalelled ability to measure & analyze exact, real time electric forklift energy usage. Portable & convenient to ship. Compact box design - fits right into the battery compartment. Installs in 5 minutes. Real time fleet data identifies energy usage, battery health and charger performance analysis, lost productivity, and billing discrepancies. Comprehensive analysis for fleet optimization includes operating costs, productivity, capital expenses, and employee safety. Cost-saving recommendation for optimized charging solution and battery sizing.